Shanklin grew his company organically with good people, good management and an agressive posture. Ready, Set, Grow! provides a venue for CXOs to share their insights on what it takes to successfully achieve organic growth, lessons learned, the role they believe Marketing needs to play in growth and how they measure Marketing’s contribution beyond this “quarters” revenue. Steven "Ziggy" Shanklin, CEO and Founder of White Cloud Security, Inc., is a leader in groundbreaking development for the cyber-security industry. Ziggy was the Director of Software Development for two cyber-security startups acquired by Cisco Systems, Wheelgroup Corp (1998) and Psionic Software (2002). Prior to starting White Cloud Security, where he invented their breakthrough "App Trust-Listing" technology, he was the VP of Engineering at Coretrace, Inc, an application whitelisting company acquired by Lumension Security (2012). In 2017, the WannaCry and Petya Ransonware attacks infected hundreds of thousands of computers worldwide. Hacking has became a big business for criminal organization and is now more profitable than the illegal global drug trade in marijuana, cocaine and heroin combined. The cost of Ransomware for 2016, grew from $209 Million in Q1 2016 to $1B, and was expected to reach $5B in 2017. Application Whitelisting/App Control technology is the number one type of breach prevention solution recommended by Dept. of Homeland Security's US-CERT, the NSA, the FBI, Australia’s ASD, Canada, AIG, SANS, ISA, and NACD; but is nearly impossible to deploy and manage on a large scale. App Trust-Listing, the Next Generation of Application Whitelisting/App Control, uses Secure Crowd-Sourcing and Trust-Inheritance to simplify the deployment and management of which Apps are Trusted to run in your network. It's a simple and effective solution to the rapidly expanding array of today’s ransomware and malware threats. 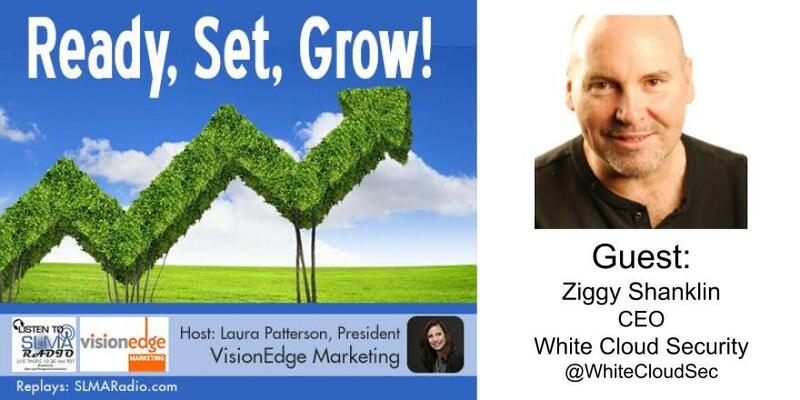 Ready Set Grow is hosted by Laura Pattersen, CEO of VisionEdge Marketing.